These beautiful butterflies can often be seen in the Park this time of year– they are making their annual trip south, and stop off for a rest! 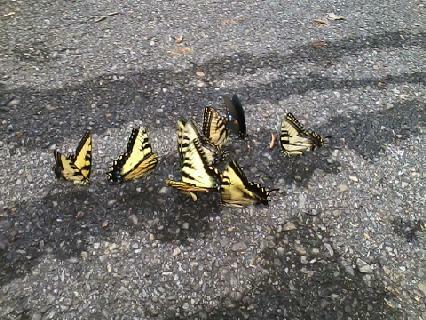 It’s not unusual to see large flock of them on the pavement and roadways. We saw these in Elkmont this weekend when The Terrell Team was up at our Adopted Cabin doing some routine maintenance work.